I'm an outpatient therapist at Impower in the Central Florida area. I have had the experience working with children, adolescents, and adults for the past 20 years. I have worked with children and adults in a group home setting, in addition to working with children in a daycare, classroom and community settings. I have excellent interpersonal skills, with the ability to interact with a variety of backgrounds. I am qualified to refer or assist individuals who are experiencing social, emotional and psychosocial difficulties. 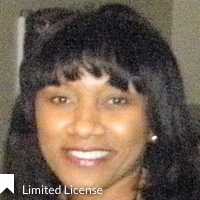 * Katricia has completed coursework and received a Masters degree from an accredited university; however, she is not fully licensed to practice independently, and is under supervision with a fully licensed Provider. The State of Florida allows individuals under supervision to provide clinical services to Medicaid patients.